Offshore Painting Services is a Liverpool-based weather protection and blade repair company for wind turbines and other structures situated in some of the most hostile environments on the planet. 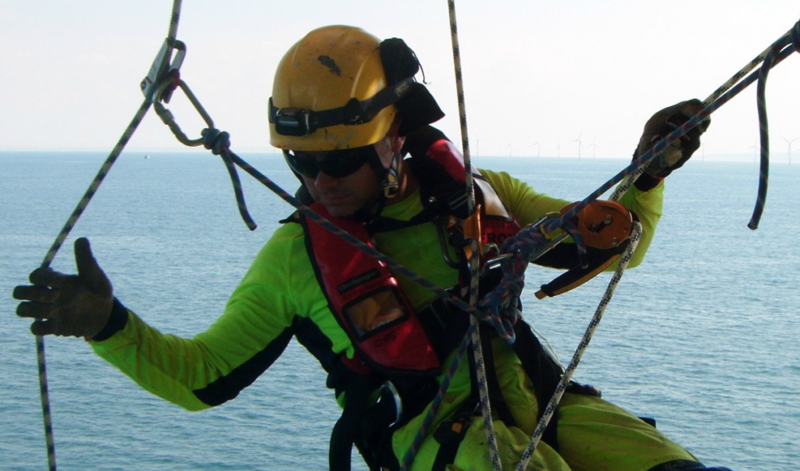 Offshore rope access technicians and managers regularly work on wind turbines and farms located miles out to sea amongst the wind and waves – with nothing but their skills, training and equipment to keep them safe. It isn’t easy work, but it needs doing, given the huge investments renewable energy companies make to generate electricity harnessed from natural winds. Wind turbines aren’t the easiest structures to paint, repair or inspect. Offshore Painting Services are one such company who are making it easier for wind energy giants such as Siemens, Vestas and Innogy to keep their turbines in tip-top shape. Having worked on some of the world’s biggest wind energy projects, including Greater Gabbard, Gwynt y Mor and Walney, Offshore Wind Services are dedicated to using the safest, most advanced rope access techniques to ensure the safe operations and maintenance of equipment that costs millions. Indeed, using rope access techniques rather than scaffolding, aerial work platforms or cranes is not just more cost-effective; compared to other work-at-height methods, working with IRATA-trained teams such as OPS is safer and takes less time. Naturally, with a background in safety and adventure activities, we were hugely impressed by OPS’ “Zero Harm Policy“, and were thrilled when they decided to sign up to Papertrail to make their safety management and rope access equipment inspections easier. 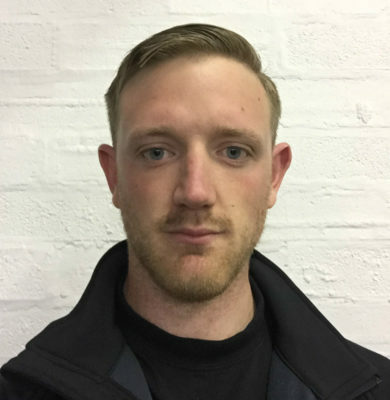 Blade and Rope Access Manager, Lee Bolton, told us that, before Papertrail, the company was using paper-based records and certificate systems to manage PPE. Naturally, as other clients have found, this was taking too much time and risking them leaving huge gaps in compliance. Not an ideal situation, given their aim to achieve OHSAS 18001 certification by the end of 2016. Offshore Painting Services currently has ISO 9001, a quality management system (QMS) and ISO 14001 certification, an environmental management system (EMS) – Papertrail is helping to maintain these world-recognised standards of safety and corporate social responsibility, and looks forward to helping them achieve even higher standards. After only a few months they’ve noticed an improvement in “efficiency, time saving and ease of access” compared to previous safety and compliance methods. In fact, OPS have been using Papertrail to inspect and manage everything from anemometers and ultrasonic thickness gauges to the strops, harnesses and ascenders typically associated with rope access work. We always love hearing from happy customers. Want to join Offshore Painting Services and simplify your health and safety compliance? See what we can do for rope access companies by signing up for a free trial.